A longtime favorite for group evaluations! A longtime favorite for group evaluations. 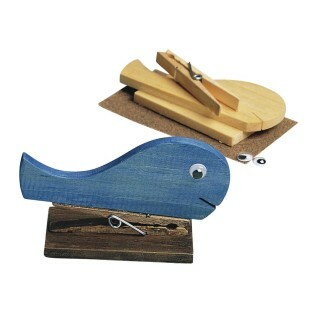 Kits contain precut wood pieces, spring clothespins, wiggly eyes and sand paper. Order stain, paint cups, brushes and glue separately. 4-3/4"W x 3"H x 1-3/4"D. Level 3.0-4.6.